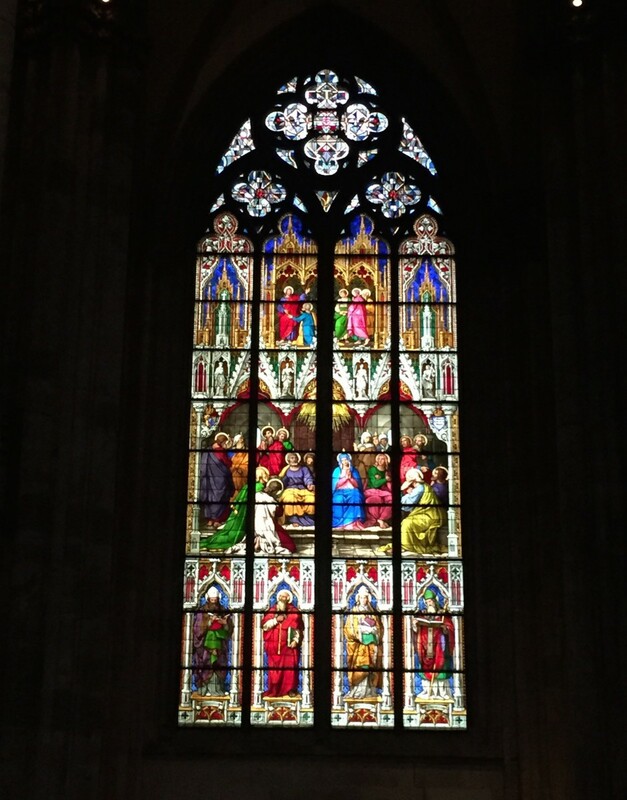 The main feature of this city is the Gothic style Cologne Cathedral. Its construction was begun in 1248 but was stopped in 1473, before completion. Work began again in the 19th century, and the cathedral’s original plan was completed in 1880. Although badly damaged during World War II, it remained standing. Repairs were completed in 1956. 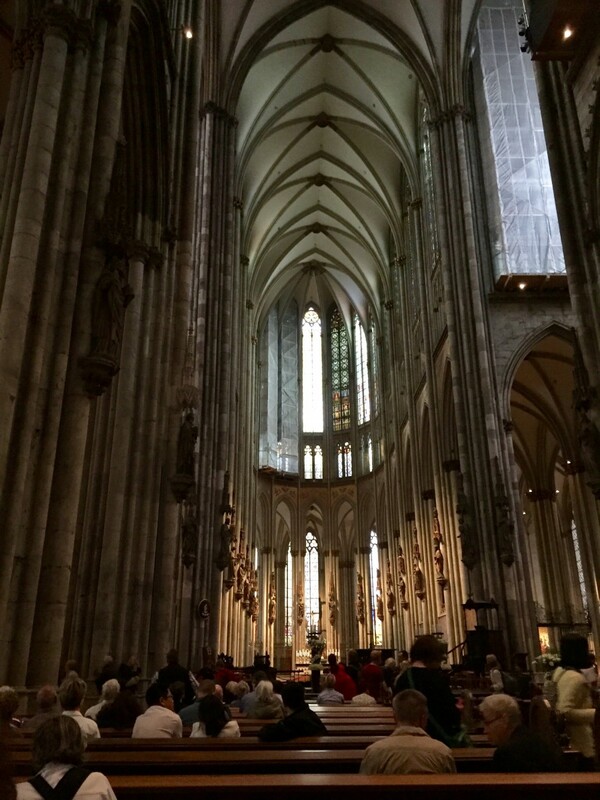 Rain fell steadily during our Cologne tour and we therefore have no outdoor photos of this massive cathedral, which is 474 feet long by 283 feet wide, with towers approximately 515 feet tall. It’s the largest Gothic church in Northern Europe. I’ll have to go back to Cologne some time to visit the Roman Germanic Museum, located near the cathedral. The Romans established a major settlement here around 50 CE. In 1941 workers building an air raid shelter discovered what is now known as the Dionysus Mosaic, a well preserved art work created around 220 CE. The Roman Germanic Museum was later built around the mosaic to preserve its integrity. 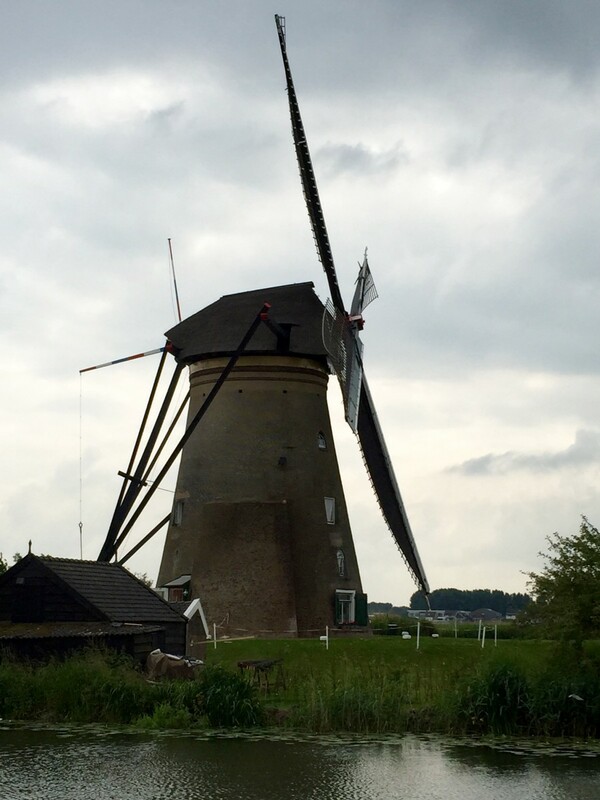 The purpose of the windmills was to pump water from the river into a reservoir to keep the land dry. When the river level fell low enough, the water in the reservoir could be pumped back into the river. These historic mills are built from brick and have large sails that come within one foot of the ground. Two diesel pumping stations now move most of the water when necessary. 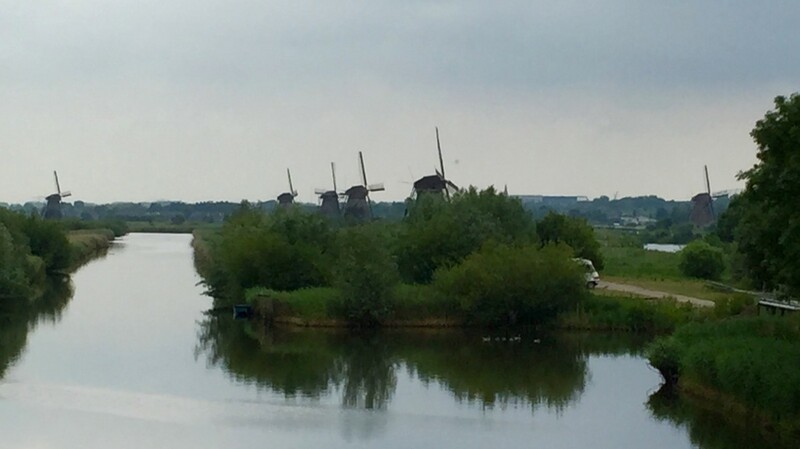 But the windmills of Kinderdijk remain one of the best known Dutch tourist sites.